Are you looking for an Authentic German Bienenstich Recipe? 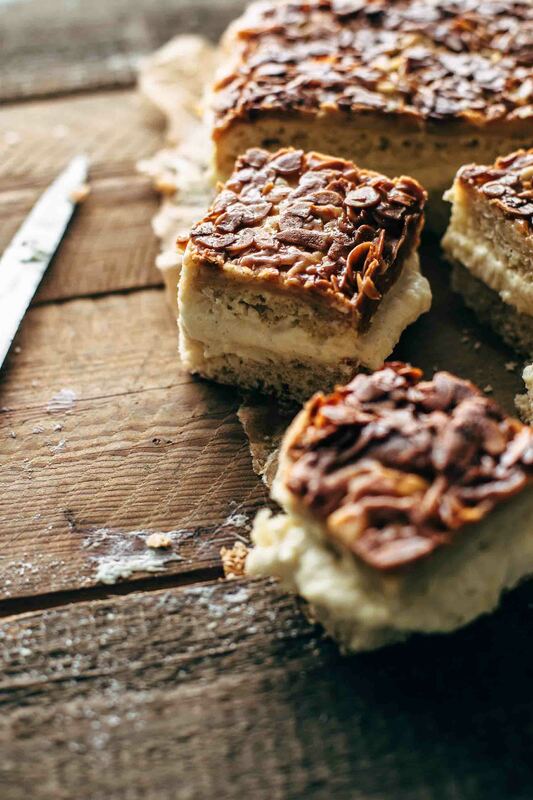 This Bee Sting Cake is a German classic and completely translated into English. Soft yeast dough filled with creamy vanilla pastry cream and topped with a crunchy honey almond topping. With video! I’ve got requested to share some authentic German recipes on my blog. 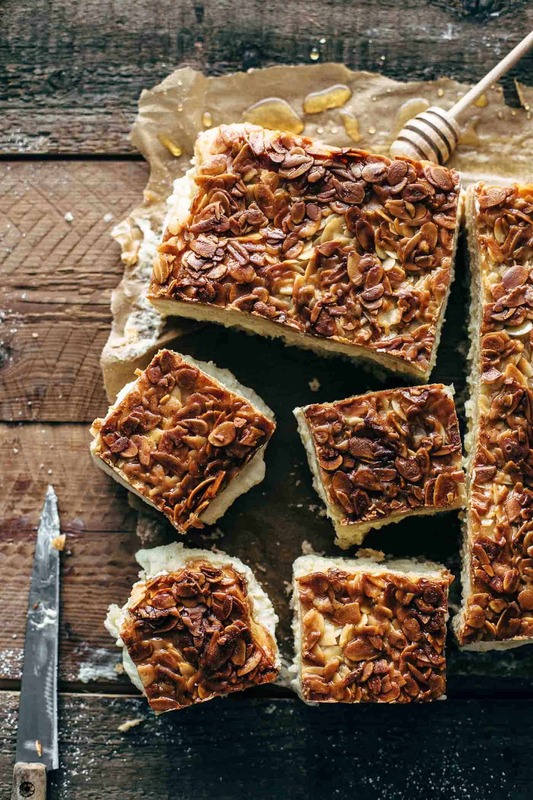 What is more authentic than this German Bienenstich recipe? Bienenstich is German for Bee Sting Cake. 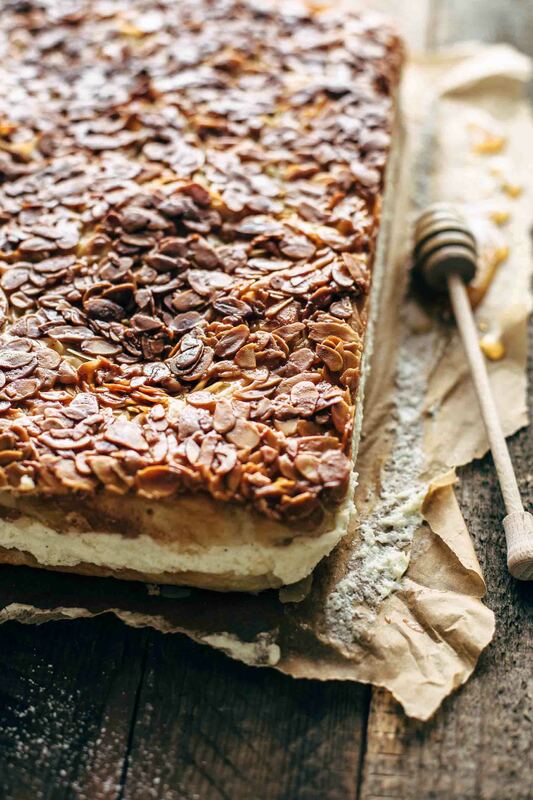 If you haven’t tried Bienenstich or Bee Sting Cake before, you need to get your shopping list ready to fill it up with all required ingredients. In fact, you just need 12 ingredients to make this Authentic German Bienenstich recipe, and the most of them are things that are always in the pantry. It’s not that complicated to make German Bee Sting Cake as it might look like at first glance. Don’t be intimidated. Just watch the video, read the recipe, and you will be guided through the whole process. There are different versions of Bee Sting Cake existing. Let’s start with the shape. Bee Sting Cake can be made in a round or rectangular shape. The original Bee Sting recipe was made in a rectangular shape. 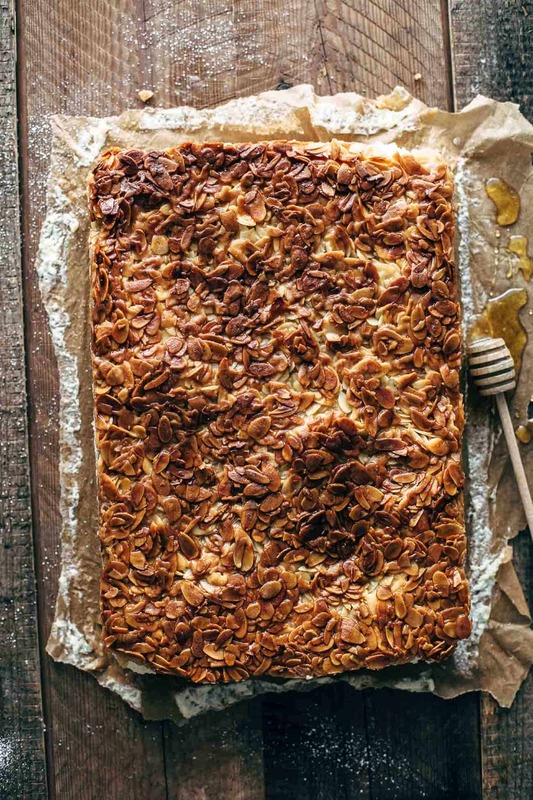 This Bienenstich recipe comes in a 9×13 inch size. 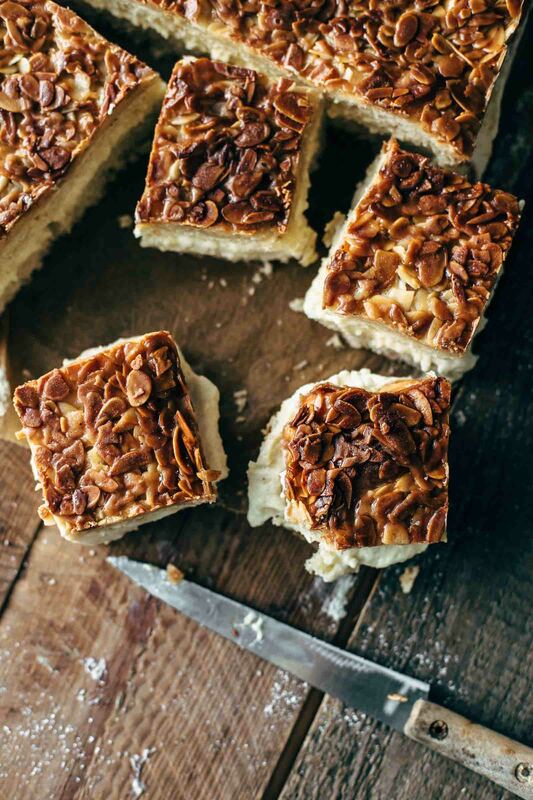 Maybe you’ve seen Bienenstich recipes made with anything else than a yeast dough. Sponge cake or vanilla cake for example. 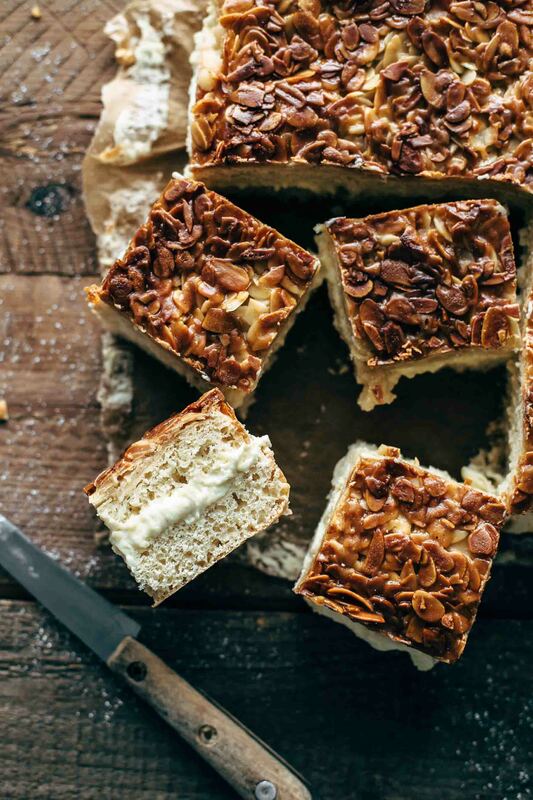 To make an authentic German Bienenstich recipe, you need to go with a yeast dough. The filling can be made of vanilla pudding or vanilla pastry cream. The difference between these two is just whipped cream. This means that the vanilla pastry cream is beaten vanilla pudding with whipped cream what is folded into. Original Bee Sting recipe comes with vanilla pastry cream. The sweet almond honey topping is a true game changer. You know pastry cream filled yeast dough also as in the form of donuts for example. But the topping is what changes everything. The honey almond topping is pretty straightforward. Bring butter, heavy whipping cream, sugar, and honey over medium-high heat to a boil. 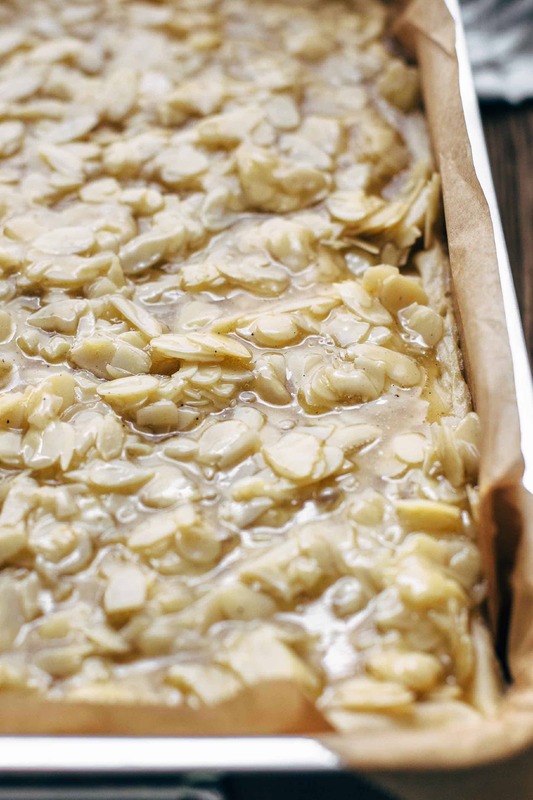 Cook for about 2 minutes then remove from heat and stir in vanilla and almond slices. 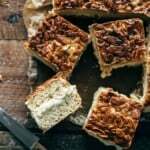 Picture it: You have soft yeast dough filled with heavenly creamy vanilla pastry cream, and on top, you have a crunchy sweet topping what tastes like almond and honey. Bienenstich is definitely one of the best German desserts existing. 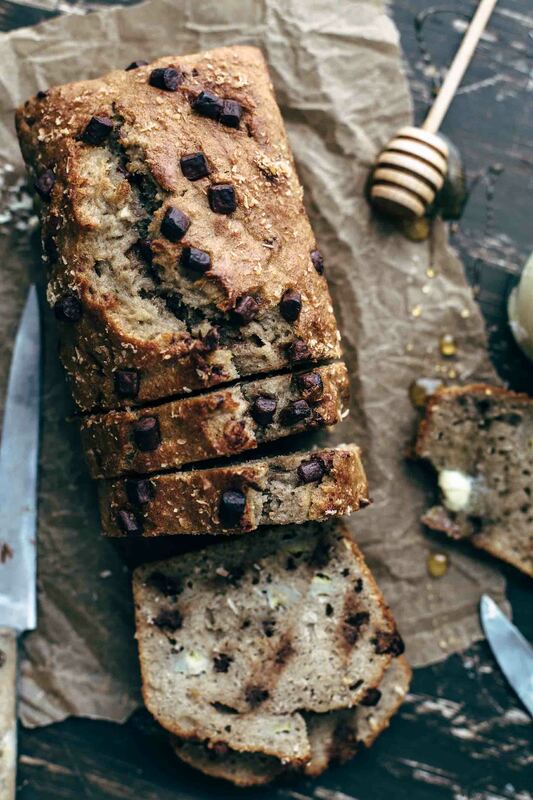 If you make this German Bee Sting recipe, leave a comment, rate it and tag a photo #alsothecrumbsplease on Instagram! Would love to see your snap! 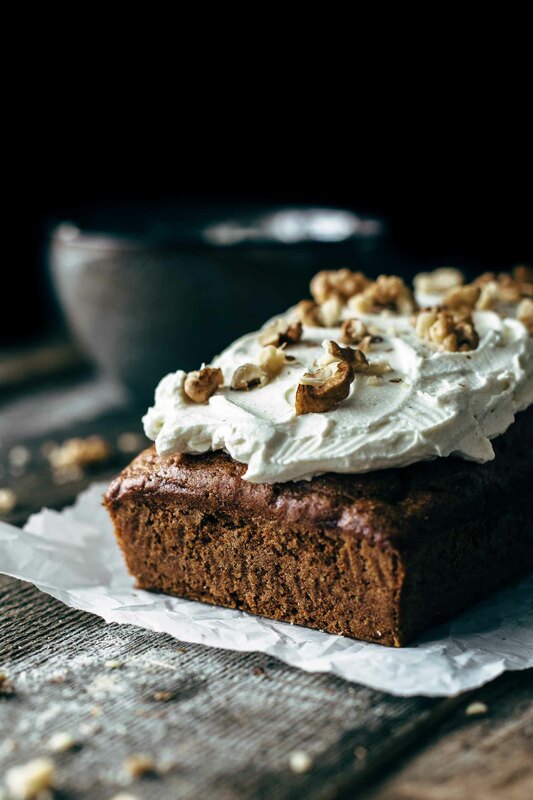 You may also like Carrot Cake Loaf with Cream Cheese Frosting, Austrian Sacher Torte, Authentic Black Forest Cake, Best Chocolate Banana Coconut Bread Recipe, or click here to see all things sweet. Start with the filling: In a bowl whisk egg yolks and cornstarch to combine. In a heavy-bottomed saucepan bring milk and sugar over medium-high heat to a simmer. Cook for 2 minutes, stirring constantly. Stir about 1/2 cup of hot milk into the egg yolks to slowly warm it. Then pour tempered egg mixture slowly into the saucepan, whisking constantly. Cook until filling is thick, for about 2 minutes. Whisk continuously. Stir in vanilla* until combined. Press pudding with a spatula through a mesh strainer into a bowl and cover with plastic wrap to prevent forming a skin. Refrigerate at least 2 hours or overnight. Make the dough: In a large mixing bowl, stir with a stand or handheld mixer fitted with a whisk attachment milk, sugar, and yeast to combine. Let sit for about 5-10 minutes until it starts to get foamy on the surface. Preheat oven to 200°F (100°C). Line a 9x13 baking pan with parchment paper. Set aside. Add eggs, butter, and salt and whisk to combine. Replace whisk attachment and attach a dough hook. Add flour and stir on low speed until the dough comes together. Turn on medium speed and knead for about 5 minutes. 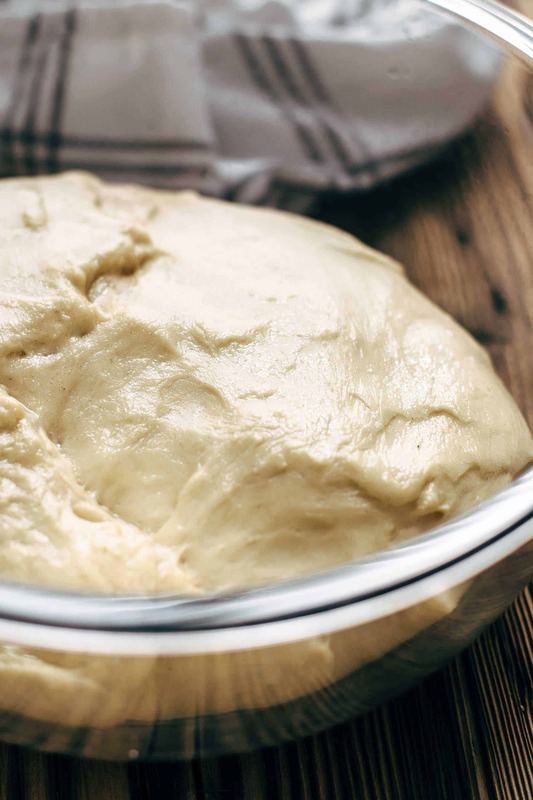 The dough should be sticky to touch but shouldn't stick to the bowl anymore. If it still sticks to the bowl, add a maximum of 1/2-1 tbsp flour on low speed and knead another 1-2 minutes. Transfer dough to a lightly greased heatproof bowl (brush a few drops of oil in a bowl or use a non-stick spray). Grease the top of the dough as well. Turn off preheated oven and place bowl in the oven to rise for about 15 minutes. Leave the oven door ajar. On a lightly floured surface roll out the dough, to a 9x13 inch rectangle. Take as less flour as possible. Just enough to roll out the dough without any problems. Transfer to the prepared baking pan. Turn off preheated oven and place the Bienenstich dough in the oven to rise for about 30 minutes until it's doubled in size. Leave the oven door ajar. Meanwhile, make the almond honey topping: In a heavy-bottomed saucepan bring butter, heavy whipping cream, sugar, and honey to a boil. Simmer for about 2 minutes. Remove from heat. Add almonds and vanilla* and stir to combine. Remove dough from the oven and preheat to 375°F (190°C). Spread almond topping evenly on top of the dough. Bake for about 30 minutes or until a toothpick in the center comes out clean. Let cool to room temperature. Finish the filling: Mix heavy whipping cream with a handheld or stand mixer fitted with a whisk attachment on medium speed until soft peaks form. Add cream of tartar and powdered sugar and stir until stiff peaks form. Set aside. In another large bowl mix chilled vanilla pudding until smooth and creamy. Fold in whipped cream. Assemble the Bienenstich: Carefully cut the cake with a long and sharp knife in half horizontally. Make sure that you are staying in a straight line. Remove the top layer. Spread filling on top of the bottom layer and place top layer back on top. Refrigerate for about 4 hours or until filling is firm. Store leftovers in an airtight container in the fridge up to 2 days. You could do that by making a well in the flour and pouring the mixed wet ingredients in the center little by little. But be careful or everything runs down the kitchen counter. It’s way easier to make the dough with an electric mixer. If you want to knead the dough by hand after the flour is added, that would be no problem at all. Hope that helps!